Last Call for the Round Top Antiques Show. 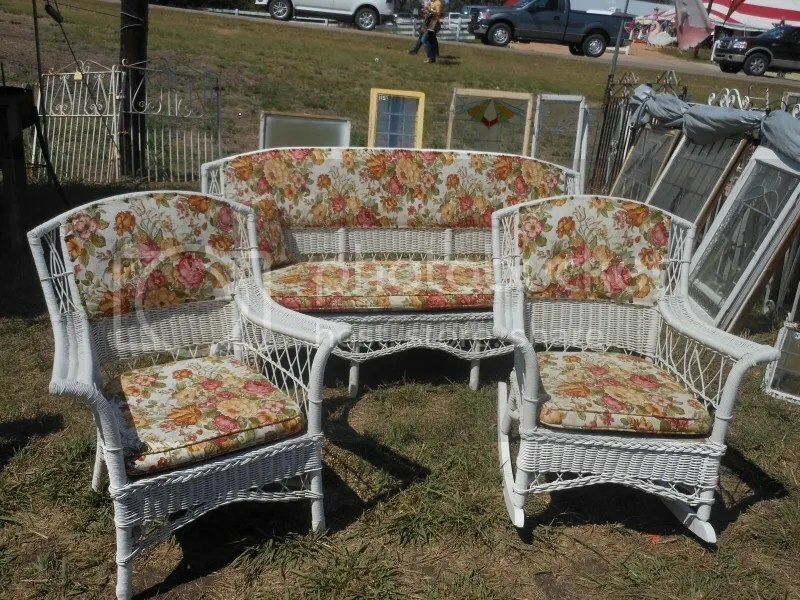 Wicker settees are appealing to me for some unknown reason. I had to take a picture. The only thing I didn’t like was The Walton’s floral fabric pattern, but this would be an easy upholstery job…for someone, not me –that is my disclaimer to Himself who says not another piece of furniture needing upholstery shall enter the garage. 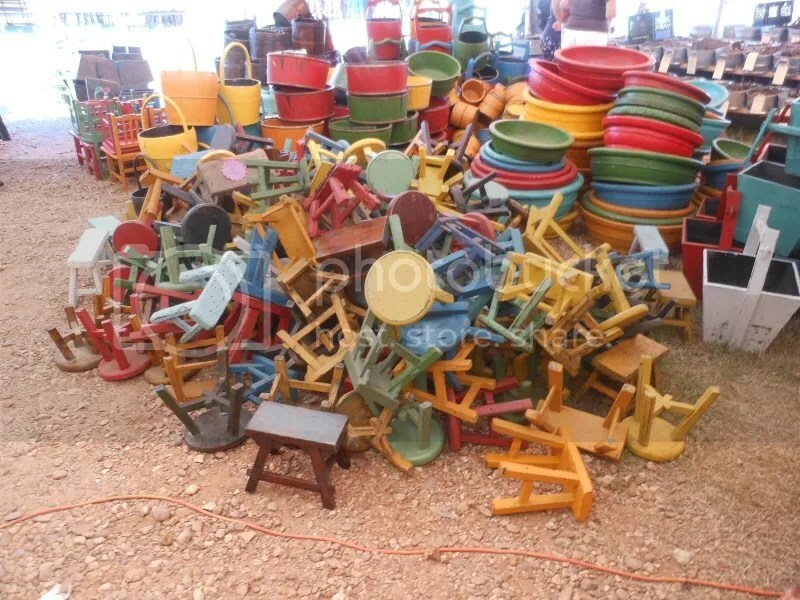 Buckets and benches of all painted sorts. I came home with two of the benches, one high and one lower. I hesitate to call them foot stools because they are not for standing; instead, I use them to elevate food on a buffet table. In this case, I will be using them in my fall decor for pumpkins.